What happens when a word ending with a /t/ sound is followed by a word beginning with a /p/ sound? Do you want to sound more natural when you speak English? Do you sometimes struggle to understand native speakers' pronunciation? This series is for you! Every Friday, our very own Tim Gibson will be in the BBC Learning English pronunciation workshop, looking at an aspect of connected speech. This time, he's looking at assimilation, with the help of the Learning English team, some Londoners - and a white piece of paper! How did you get on? Great. If you want to hear more about this topic, please visit our website bbclearningenglish.com. That's about it from the pronunciation workshop this week. Bye bye. Did you just see…? I could have sworn it was… You know, sometimes I think I have a split personality! Can you hear a /t/ sound at the end of 'white'? Can I have a sheet of white paper please? Can you hear a /t/ sound at the end of 'split'? Tim thinks he's got a split personality. Can you hear a /t/ sound at the end of 'hate'? I hate people who swear a lot. Can you hear a /t/ sound at the end of 'great'? Pablo Picasso was a great painter. Can you hear a /t/ sound at the end of 'mate'? My mate plays guitar in a band. Can you hear a /t/ sound at the end of 'quite'? This new version is quite popular. 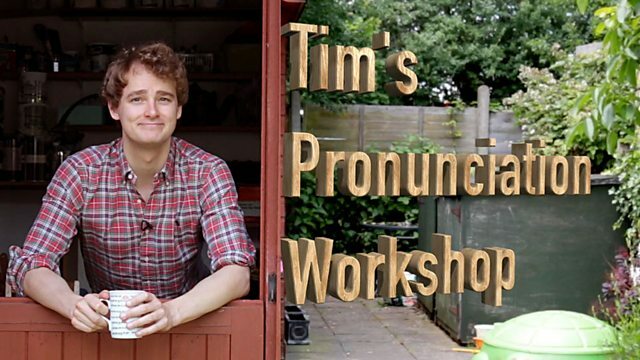 We hope you enjoyed Tim's first pronunciation workshop, and the first unit of this course. In Unit 2, Dan gives you 5 ways to talk about the future - while Tim uses a famous Russian novel to help you improve your pronunciation. Plus, find out which words are making the headlines in News Review - and don't miss out on LingoHack!